In birds, the term "Color Mutation" refers to a bird whose feathers exhibit a different color than you would normally find in the wild. The code for feathers of a certain color is carried on a bird's genes. Therefore, it is possible to breed birds with genetic codes for different colors together, creating new and different color mutations. Breeding for color mutations has become especially popular in the bird trade as of late, with breeders of many species striving to create the perfect bird in an array of beautiful and sometimes unusual colors. 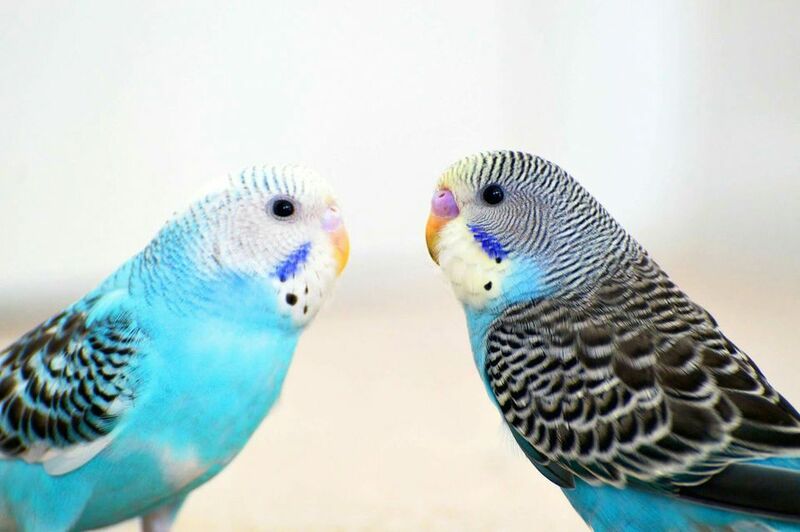 A few species which are known to carry the genes for a variety of color mutations are Budgies and Parakeets, Lovebirds, Cockatiels, and Indian Ringnecks. Breeders working with these species have been able to produce birds in an extraordinary number of colors and shades. While many color mutation birds are already available, the practice of breeding for these mutations is relatively new, so new variations on color themes are popping up in aviaries across the world every day. Many bird species have yet to be bred for color mutations, but with increasing knowledge about genetics, the possibilities for different color combinations are virtually endless. Different color mutations each have different names, and some aren't as obvious as you would think! The correct name for a yellow mutation bird, for example, would be Lutino. Other mutations, such as darker or lighter versions of blue, could be labeled Cobalt or Violet. For most pet bird owners, the terminology used to describe the bird isn't nearly as important as the overall condition of the bird itself—but those interested in breeding will need to know the genetic background of the birds they plan on purchasing. Most breeders are proud of their mutations and will quickly and happily be able to tell you exactly what type of color mutation birds comprise their breeding stock, so it's a good idea to be prepared to ask for clarification on mutations that you haven't heard of before. You want to know what you are breeding! The easiest way to explain how color genes work is by example. For instance, my Indian Ringneck Parakeet, Oliver, is green. This is the nominate or normal color for Ringnecks in the wild. Oliver's father was also a normal green, but his mother was Lutino! This means that Oliver is what's known as a Split Lutino Ringneck. If he were to mate with another Ringneck and have babies, it would be possible for some of his offspring to be Lutino even though he is a normal green. The same logic applies to all color mutations and this is what makes the wide and seemingly endless array of new mutations possible. As breeders continue to work with new color combinations and species, color mutation birds are becoming more and more popular and available. Those interested in acquiring a color mutation bird for pet or breeding purposes should contact their local bird club or avian veterinarian for information on the care of color mutation birds and links to good, reliable breeders.